Using anecdotes breathes life into your content. 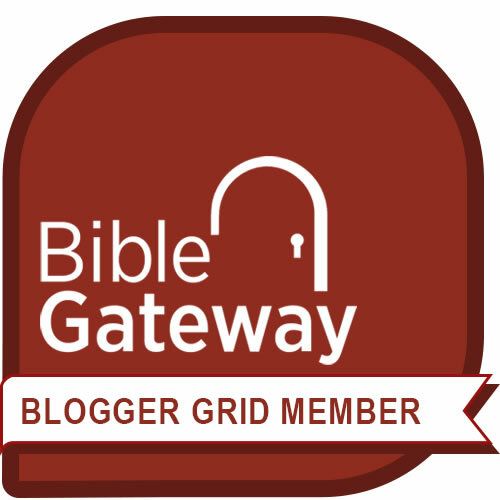 Readers are energized when they hear how your organization makes a difference in the lives of people you serve. You have to trudge through all kinds of phone calls and dead ends to find an exciting anecdote to include as the centerpiece. And since you’re doing all kinds of good things for people, there’s no question – stories are out there. Not so easy, you say. The problem is collecting them. 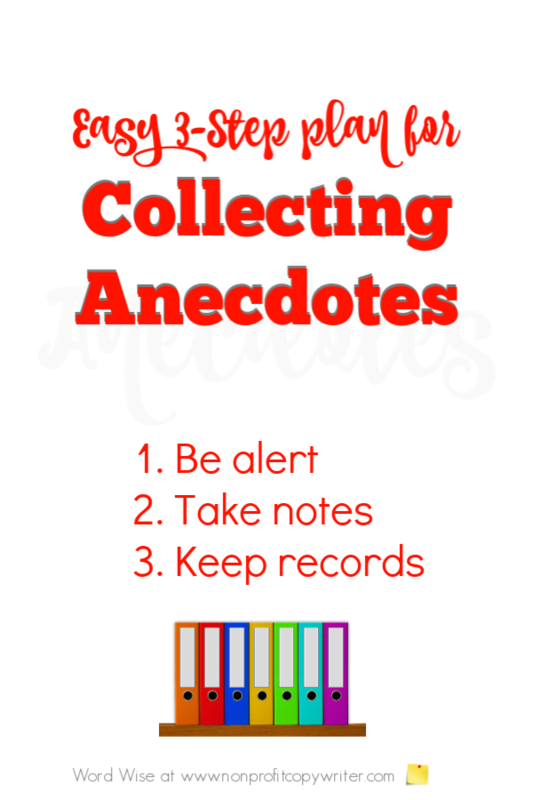 When it comes to using anecdotes, what you need is a collection system. A system – one that takes next to no time and is easily accessible – puts your stories at your fingertips. With a system, you’ll have basics your writer needs to flesh out stories for powerful appeals, newsletters, and online promotions. Putting together an anecdote collection system is not hard. And it takes barely any time. But it doesn’t happen on its own. Take advantage of the anecdotes that come your way today when you follow these intentional steps. Sue – unemployed for 5 months; after counseling with Alice she had 3 interviews in a week (just enough information to spark a feature story interview with Sue and/or Alice). Joe – short-term missions worker to Chad; overwhelmed by the poverty he found there; on day 2, he saw the line wrapped all the way around the makeshift medical clinic and into the desert; cried; helped deliver 3 babies and vaccinated 30+ children that day (perfect core information to initiate an interview with Joe). Nothing is more frustrating than recalling a story that’s perfect for the piece you’re working on and not being able to put your hands on the contact person’s email address or phone number. Record contact information in each story file. Note the date you hear the story, the source, and that person’s phone number and email address. Sounds too easy? It is. Why don’t people do it? I don’t know.